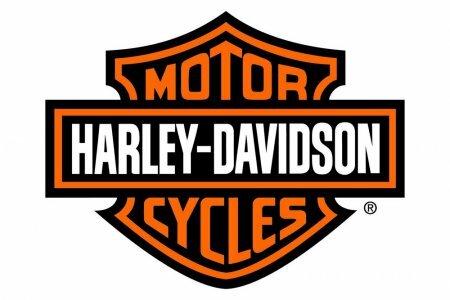 MILWAUKEE (November 22, 2012) The new Screamin' Eagle® Street Cannon Performance Slip-On Mufflers (P/N 64900186, $389.95) from Harley-Davidson® Genuine Motor Accessories® are tuned to give Harley-Davidson® Touring models an exhaust note with extra-deep bass – a rumble that will enhance that famous Harley sound yet preserve peace with the neighbors. 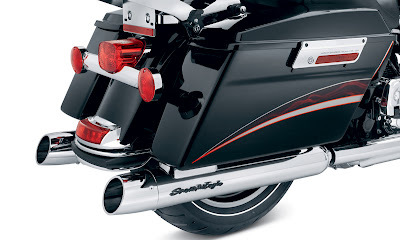 The four-inch-diameter Street Cannon chrome mufflers have tuned baffles and extra internal volume to balance tone and performance, with the right amount of back pressure for a smooth-running ride. A die-cast Screamin' Eagle® medallion and a selection of end cap designs (sold separately) are available to provide an extra custom touch. Screamin' Eagle® Street Cannon Performance Slip-On Mufflers fit 50-state 2009-later Touring and Trike models, except 2010 Street Glide® and Road Glide® Custom and models equipped with 110 CI engines. Installation requires separate purchase of muffler clamps and end caps.